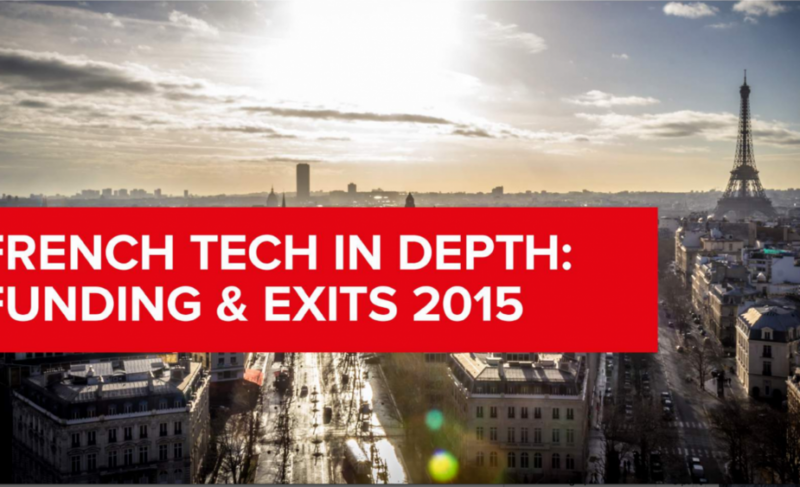 Tech.eu released their French Tech Funding trends for 2015 this week (you can download their report here), which revealed quite a bit of insights into the French Tech market. The report, which aggregates Fundraising and exit data about french technology companies, has quite a bit of takeaways – some of which are obvious, some of which aren’t – the report is well worth a read, and I don’t want to give any spoiler alerts, but here are 10 insights that I took away that are worth digging into. (2/11) #1: 80% of VC deals happened in Paris. For all its hard work, @LaFrenchTech is essentially #LaParisTech. As Tech.eu puts it in their report, FrenchTech = ParisTech. This raises quite a few questions in terms of allocation of assets, and the viability of secondary ecosystems in Nantes, Lille, Bordeaux, Lyon & Toulouse, which, combined, represented less than 20% of all fundraising rounds. The UK has all but agreed that London is the epicenter of financial activity, whereas Germany’s deal-flow remains spread out. Concentration seems to be in France’s best interest. Admittedly, these rounds were outliers, so it makes sense that they would represent a disproportionate amount of activity; however this much concentration is unique to France, which begs the question: is VC activity going up, or are outliers just getting bigger & bigger rounds? (5/11) #4: The Seed funding gap has been filled (go @Bpifrance), but there's a Series B/C gap disproportionately low in Europe. 9.6 Million people in Sweden & 8 Million people in Israel. What does it say about BPIFrance, which has been propped up as the backbone of Venture Capital in France, if the amount fundraised per-person (a oft-used metric to determine venture health in an ecosystem) is lower than most of the rest of Europe? In addition, of that funding, a significant portion is going to Seed & Series A, with Series B & C left to dry up. France does hardware well, and that shouldn’t be a surprise. Netatmo, Actility, SIGFOX, Devialet, Save, Scality – all major hardware plays or software plays with deep hardware implications. France knows how to fuse internet & industry. (9/11) #8: US & UK represent more than half of all foreign investment. What about the famous Franco-German cooperation agreements? Whereas the rest of France seems to have its peak dealflows in Q1 & Q3, Bpifrance invested 38% of its deals (as picked up by Tech.eu) in Q4 – on average, the ecosystem invested 16% of the total investments done in 2015 in that same time period. Is Bpifrance rushing at the end of the year to allocate unused funds? I had mostly heard the opposite – at least for their grants, they tend to run out before the end of the year, so it’s best to know when they get refills and apply then. Either way, this is a system that entrepreneurs shouldn’t be spending energy trying to game. (10/11) #9: No Billion-euro exits in France in 2015 – unlike elsewhere in Europe. 50%+ exits were national. Only France buys Made in France? Very little cross-border deal flow in 2015 between Germany & France. Don’t know what to say about this, Iris Capital has a coinvestment agreement with Koln-based Capnamic, and Alven Capital & Point Nine had done quite a number of SaaS deals together (Point Nine even wrote about the French Saas market earlier this year). In addition, French companies represented more than 50% of the M&A in France, meaning that all that national investment money is going to… national companies. This is unhealthy. (11/11) #10: France continue to excel in math (big data, search, adtech), hardware (IoT, TelCo, Transport), Media and Sharing Economy. There’s a lot to take away from the Tech.eu report, and from any high-level market report. Some of these numbers confirm my suspicions, some are a bit shocking. France is growing in VC activity, but a lot of that is being led by the country’s national investment fund Bpifrance, and France is still growing slower than its neighbors. You should not support BPIFrance, they are actually killing the venture capital market in France. How do you want new VC firms to get into the French market when you have such an unfair competitor ?